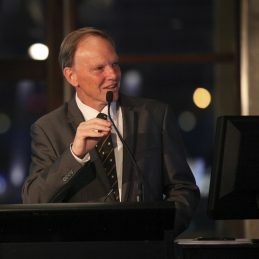 Born in Sydney in 1962, Rod Willey fell into public speaking by accident, when being appointed Club Captain Of Randwick Rugby Union Club, one of his duties was to host visiting teams at home games back in the Clubhouse. Speaking in front of 200 rowdy Footballers and Supporters, Rod quickly developed a sharp wit, combined with great timing, he would have the room hanging off his every word. This made a trip to the Club after each game a great way to finish a day at the Football. After retiring from Football, Rod went on to host Sporting Functions, Charity Fundraisers etc. Now he has expanded his services into the Corporate world of Seminars, Corporate and Lunches and Comedy. From the first point of contact through till the end of an event, Rod is always interested to ensure the event runs smoothly and to time and guests are both entertained and informed. His Q & A segments with special guests are always well received and always a highlight! So you’ve finally locked in that special guest you have been chasing for months, the Function Centre is booked, all the tables are sold, the catering is locked in, you now need someone to bring it all together on the Day. With a list of Celebrities including, Kevin Sheedy, Evonne Cawley, Cathy Freeman, Ewen McKenzie, Robbie Deans, Rod has interviewed some of this countries biggest names in Sport and Entertainment. These days Rod helps indigenous kids by giving them the opportunity for further education and career choices through Rugby working at the Lloyd Dermott Foundation which provides a gateway for indigenous children a positive pathway in life through sport. If you have a function, or an event of any kind, do not hesitate to contact us and discuss a package to suit your needs.